Ashton Roofing & Maintenance began with our founder Michael. Having had more than 10 years experience in the roofing industry, Michael endured the best and the worst of the trade, eventually tiring of the mediocre service and poor attitude demonstrated by many of those around him. Recognising a niche in the market for a well run, professional company that could meet the demands of the local area, he set about starting his own venture alongside his brother Matthew, and so Ashton Roofing was born. A family run business built on strong family values, Ashton Roofing & Maintenance has grown year upon year, generating more and more business and landing larger and larger contracts. Though no matter how big we grow, our core values of customer satisfaction and our personal approach still remain embedded within each and every job. From our humble beginnings, we now handle six-figure annual programmes for some of the largest contractors in the country including Mitie, Morgan Sindall and The MD Group as well as local authorities including Croydon and Basildon Councils. 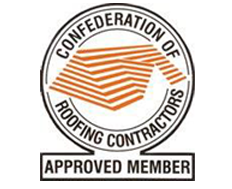 Though we have expanded over the years, we have not forgotten our roots and still endeavour to support local businesses with their roofing needs, as well as emergency residential work by providing a free survey and waiving call out charges. And that’s why we’re not just any other roofing company – the word ‘maintenance’ isn’t in our name for the sake of it. We pride ourselves on not only maintaining properties and our projects, but also the relationships we have developed, and which have allowed us to get to where we are. So let’s introduce you to the people that make our company what it is today. We are ambitious and ever expanding. Already covering large swathes of London and the South East, we are in talks with partners which will see Ashton Roofing & Maintenance expand even further into the home counties and beyond!